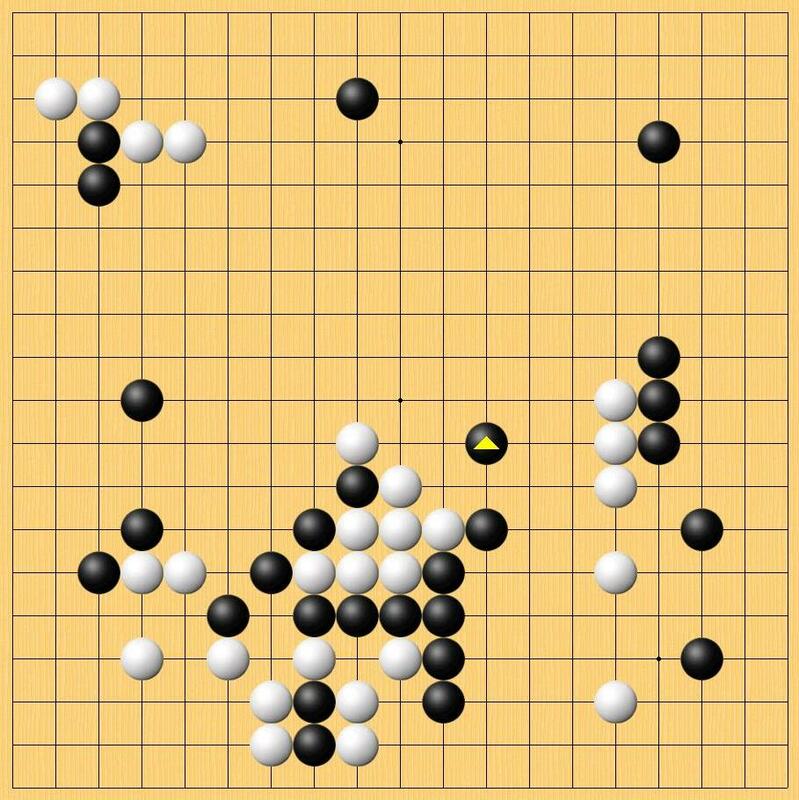 Iyama Yuta who challenges Cho U for the Japanese Kisei title won game one by resignation. 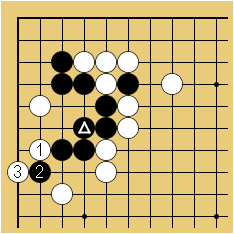 The continuation is puzzling though – did Cho U make a mistake, or just set the scene for resignation? Here are the final moves. 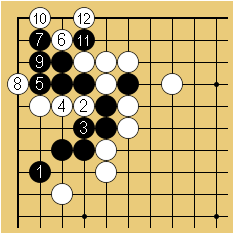 After black cuts with 6, a and b are miai for black, and he wins the semeai on the upper side. 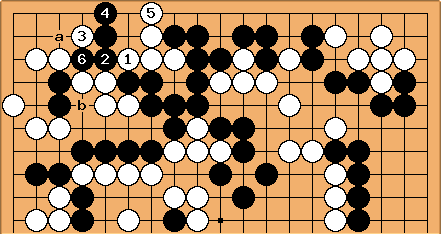 White should have played as in the following diagram. 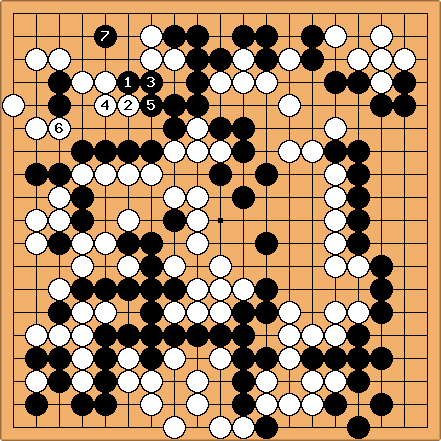 The game looks close to me after this – in fact white looks a little ahead, but maybe I am missing something. 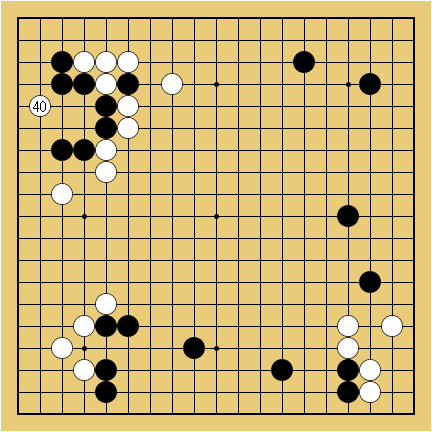 You are currently browsing the 361points.com/blog blog archives for January, 2011.